Alliant Insurance Services, Inc. is one of the largest insurance brokerage firms in the United States, providing property and casualty, workers' compensation, employee benefits, surety, and financial products and services to some 20,000 clients nationwide, including real estate and hospitality, public entities, tribal nations, healthcare, energy, law firms, construction, and other industry groups. 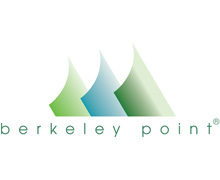 Berkeley Point Capital, owned by Newmark Group, Inc., is the preeminent source of capital solutions for multifamily owners and operators. With a nationwide presence and unparalleled expertise, Berkeley Point boasts a 30 year history and a servicing portfolio of $58 billion representing in excess of 3,300 loans in 49 states. A top five Fannie Mae and Freddie Mac Lender in 2017, Berkeley Point offers a full complement of GSE, FHA, Life Company and Conduit products paired with extensive multifamily, affordable, student, seniors housing and healthcare expertise. This extensive and diverse national platform provides clients with superior execution in every market across the country. 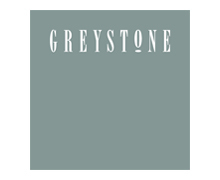 Greystone is a leading national lender, providing innovative financing solutions for multifamily and other commercial real estate properties. 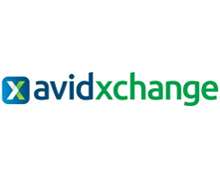 We are experts in creativity and execution across multiple lending platforms including FHA, Fannie Mae, Freddie Mac, CMBS, Bridge, Mezzanine and other proprietary loan programs. Hunt Mortgage Group, a wholly owned subsidiary of Hunt Companies, Inc., is a leader in financing commercial real estate throughout the United States. The Company finances all types of commercial real estate: multifamily properties (including small balance), affordable housing, office, retail, manufactured housing, healthcare/senior living, industrial, and self-storage facilities. 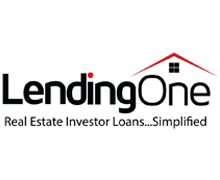 It offers Fannie Mae, Freddie Mac, HUD/FHA in addition to its own Proprietary loan products. Since inception, the Company has structured more than $21 billion of loans and today maintains a servicing portfolio of more than $12.5 billion. Headquartered in New York City, Hunt Mortgage Group has 191 professionals in 23 locations throughout the United States. 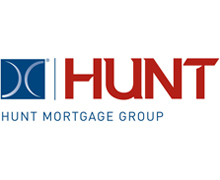 To learn more about Hunt Mortgage Group, visit www.huntmortgagegroup.com. We’re a Fortune 500 company. We work across 80 countries, in 280 different offices, with a team of over 60,000 individuals. 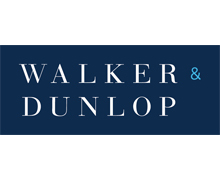 And we look after a property portfolio of over 4bn square feet, all on behalf of our clients. As of December 31st 2015, we had revenue of $6bn and fee revenue of $5.2bn. In 2015, we also completed $138bn in sales, acquisitions and financial transactions. And as of September 30 2016, our investment management business, LaSalle Investment Management, has $59.7 billion of real assets under management. 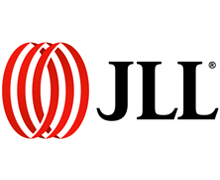 JLL is our brand name. Our registered trademark is Jones Lang LaSalle Incorporated. 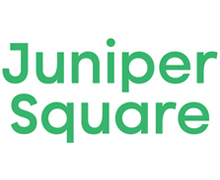 Juniper Square is a modern, all-in-one investment management software system that enables more productive fundraising, saves managers time, and produces an unparalleled reporting experience for investors. Designed specifically for the real estate industry, Juniper Square helps nearly 50 clients manage more than 20,000 investment positions and $25B+ in capital. 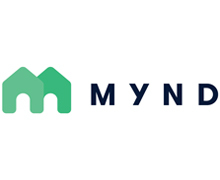 Mynd is a full service residential property management company. Our focus is using our experience managing 1700+ units across the Bay Area and San Diego to make renting and owning real estate simple. We leverage efficiencies with technology, process excellence and, of course, a great team to deliver great service to residents and owners alike. 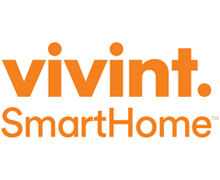 PointCentral Smart Home Automation is an enterprise-grade, cellular-based technology that provides centralized control of access and HVAC for vacation rental, residential and multi-family property managers. 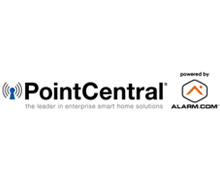 From a desktop or mobile device, thousands of properties can be easily managed using PointCentral, a subsidiary of Alarm.com. 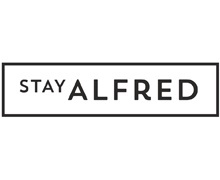 Stay Alfred focuses on leasing units in downtown Class A apartment buildings in the largest cities across the country. We’ve created a flexible master-lease model that caters to your financial priorities. So whatever amount of inventory you’d like to convert to boutique hospitality units — an entire building or a single floor, in any stage of development — we can write a lease to facilitate your needs. We are the only operator with a track record sufficient to support large scale master leases. We have the strongest reputation among the developer community and have long standing relationships with some of the nation’s largest property management companies. 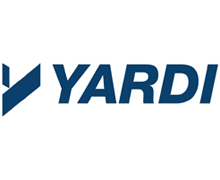 Yardi Matrix is a powerful business development tool that gives real estate owners, managers, investment sales brokers, debt investors, and equity investors control of the property prospecting and preliminary underwriting process. Matrix delivers comprehensive, real-time market intelligence on multifamily, commercial and self-storage properties, allowing users to identify deals and drive value with property-level research not available anywhere else—all from a mobile device. 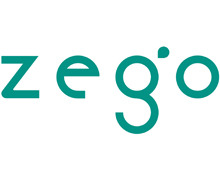 Zego is a resident engagement and smart home amenity platform for apartments. We provide a more efficient way for residents to go about their day to day activities while allowing management staff a full picture of their property. This platform allows residents to live with smart home technology, as well as the opportunity to digitally engage with their property managers, Zego is raising the standard for apartment living. 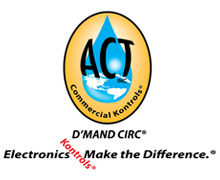 ACT Inc. develops and manufactures electronic Hot Water D’MAND KONTROL® Systems to managed and control distribution of potable hot water for multi-family, commercial and residential buildings both existing and new construction. ACT Inc. products have been tested by Oak Ridge National Laboratories, funded by the US Dept. of Energy and received a Certificate of Recognition in 2001 for their savings of both water and energy. ACT Inc. holds mulipule patents on electronic control systems for saving energy and water. Acker has been involved in the study and research of energy & water conservation products for the last 45 years. Acker has invented several sustainable products and is consider a leading authority on Hot Water Distribution Systems. Larry coined the term “STURCTURED PLUMBING®” currently being applied to residential and commercial buildings. He has worked with the building industry for over 40 years and was the Chairman of the Pacific Coast Builders Conference in 2001. 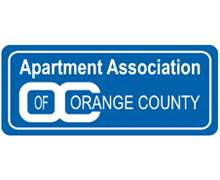 Currently Southern California Gas Company has a “No Charge” Rebate program called ODE (On Demand Efficiency) for multi-family buildings with Central Boiler/water heaters that operate on a 24/7 circulation pump. Adding D'MAND CIRC KONTROLS will reduce the pump run time up to 80 percent and add up to 20 percent energy savings to the boiler. This program incorporates Acker’s technology. Acker has been a featured speaker at several national and international conferences such as ASHRAE, IAPMO, AWWA, ACEEE, PHCC and the SB-08 International Energy Conference in Melbourne Australia in 2008 and the Australian Master GREENPLUMBERS Conference in Australia in 2005. Acker has written articles that have appeared in National Trade Magazines over the last 15 years on sustainability for residential buildings. 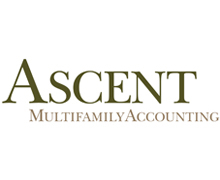 Ascent Multifamily Accounting is the nation's most experienced multifamily accounting firm. We have worked for the largest real estate firms in the world as well as small family operations. Ascent Multifamily Accounting simplifies the property management office and allows owners and managers to focus on enhancing property performance instead of managing office operations, often while saving significant costs. More than ever before, bottom-line conscious property managers are recognizing the benefits of outsourced accounting services. Bedford is a national independent services firm providing innovative tax strategies for professionals vested in the commercial real estate industry. Our services include cost segregation, asset management, Section 179D/EPAct studies, research and development tax credits and section 45L, Look-Back and ReCap℠ Studies. In addition to our variety of solutions, Bedford provides high quality, education programs on tax related topics for property owners, tenants, CPAs/tax pros and trusted advisors involved in the commercial real estate industry and the state of their client’s tax liability. 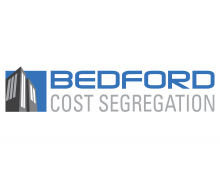 The Bedford Team is committed to our clients'​ trust and as a result, we are unyielding when it comes to providing concise, technically sound studies and solutions that exceed client expectations. From The Conversation to The Bedford Warranty; the first phone call to receipt of our No-Cost Audit Support Certificate; our team is committed to complete satisfaction - every step of the way. Do not delay, Experience Bedford for yourself. Learn more at www.bedfordteam.com. 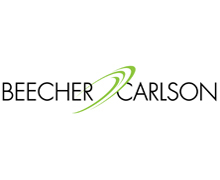 Beecher Carlson is a large account risk management broker that delivers expertise by industry focus and product specialization. We strive to develop new and better technologies to support your business requirements and drive operational excellence. By leveraging our deep risk management expertise, we are able to help clients manage their business risks, protect and enhance their capital and fulfill their corporate mission. Beecher Carlson is a subsidiary of Brown & Brown, Inc. and headquartered in Atlanta, GA. Brown & Brown is headquarter in Daytona Beach, FL and is one of the nation’s leading independent insurance intermediaries with more than 8,000 employees. Brown & Brown is ranked as the sixth largest insurance brokerage in the United States and the seventh largest brokerage worldwide by Business Insurance magazine. 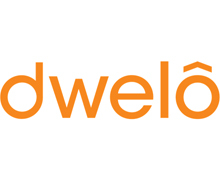 Dwelo is the best and only smart home platform purpose-built for the multifamily industry. We connect light switches, thermostats and locks, with our cellular-enabled hub and provide powerful web and mobile software. Residents get to live in the future, managers convert legwork into click work and owners capture strong returns. INTRODUCING EVOKE CONTRACT: A LINE OF LUXURY VINYL CREATED BY DESIGNERS, FOR DESIGNERS. 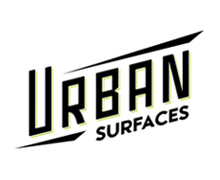 Versatile palette of popular colors Phthalate-free and FloorScore certified Meets ASTM and EU standards for slip resistance and fire ratings in most spaces. Ultra-durable UV-resistant top coat Guaranteed Evoke quality throughout Infinitely customizable! 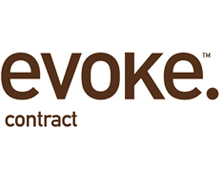 Evoke Contract is the business end of Evoke, a leading manufacturer of premium quality laminate, luxury vinyl and vinyl composite core flooring. For more information visit evokeflooring.com. 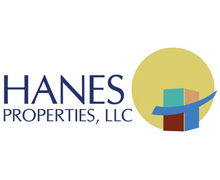 Hanes Properties, LLC was founded in Southern California by veteran real estate investor H. Bruce Hanes. The firm has been active in multifamily real estate in Ventura, Los Angeles, and Riverside Counties since 1969. The company has completed large scale renovations of existing product with the goal of adding value and repositioning the asset to align with the needs and strength of the community. Today, Hanes Properties, LLC remains family owned and operated, and is actively seeking to expand its multifamily portfolio. Hub by Amazon is a package management system installed at your property to provide you and your residents with an easier, more convenient solution to package management. The Hub is designed specifically for multi-family housing, to improve all aspects of package management. 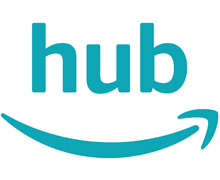 The Hub accepts deliveries directly from all carriers and lets residents pick up packages themselves, 24/7, providing a highly-desired amenity with trusted Amazon support. With the Hub, you leverage Amazon’s logistics and package management experience to simplify and enhance your residents’ experience. iBorrow is a West Coast-based direct lender that provides short term bridge financing of up to $25 million to commercial property owners at fixed interest rates on a non-recourse basis. 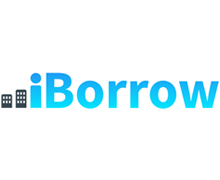 iBorrow has completed more than $250 million worth of transactions and lends on all property types throughout the United States. For accredited individuals and institutions looking to diversify their investment portfolio, iBorrow offers yields of between 8-11% secured by commercial real estate on a 12-24 month loan term basis. Visit our website at www.iBorrow.com for more information about our loan program. 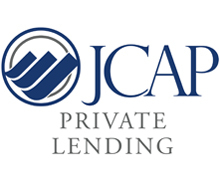 JCAP Private Lending is a Direct Lender who closes and services Investor Funded Short-Term Real Estate Loans. Our experienced team has been providing quality mortgage services for over 30 years. JCAP Private Lending is an Asset Based Lender who steps in to quickly solve a short-term financial need secured by Real Estate. JCAP has an innovative approach to lending, focusing on speed, simplicity, and safety for borrowers and investors. JCAP’s operating philosophy is defined by the simple but impactful statement — “We Care & We Serve”. 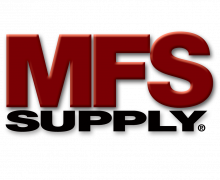 MFS Supply is the United States’ largest source for affordable security and property management products, specializing in lock boxes, shackle padlocks, doorknobs and handles. Founded in 2006 by professionals with more than 20 years of experience in the mortgage field servicing industry, we understand the specific needs of real estate agents, REO and preservation contractors, and commercial and private property managers. As a national company with a customer-focused mentality, MFS Supply’s broad inventory of home and commercial security products is matched by our deep commitment to customer service. Dedicated representatives serve individual accounts, ensuring detailed knowledge and consistent reliability for specific business needs. MFS Supply’s corporate headquarters and 65,000 sq.-ft. warehouse are located in Solon, Ohio. With an additional distribution center in Los Angeles, CA, and Toronto, ON, we guarantee competitive product prices and the fastest delivery anywhere in the US. We are a full-service firm for the Multi-Family commercial real estate industry in Denver. 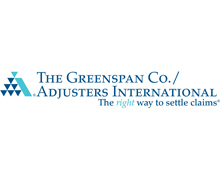 Our firm specializes in acquisitions, dispositions, seller rep, buyer rep, and advisory services. We provide high caliber services to owners and investors delivered with the focused attention only a privately-owned firm can offer. After operating successfully for over 25 years, our Colorado roots are deep because our market experience in commercial real estate is firsthand. This positions us to help clients reach their business and financial goals while ensuring their best interests are always protected. We measure our success by the quality and efficiency of the solutions provided by our high-level team. As a result of this business practice, Nexus has succeeded alongside of clients and worked towards achieving their goals and not just our own. 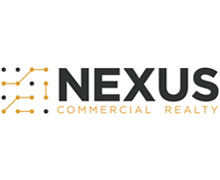 Because of Nexus Commercial Realty’s core values, our clients can clearly distinguish the true difference between an anonymous, aggregate brokerage company, and one that is truly one of a kind. PeerStreet is an award-winning, Andreessen Horowitz-backed, platform focused on democratizing access to real estate debt. The company provides investments in high-yield, short term, real estate backed loans. PeerStreet’s unique marketplace allows investors to diversify their capital in an asset class that has been traditionally difficult to access. 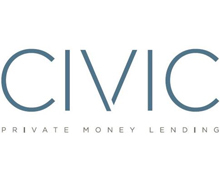 Loans are sourced and curated from vetted private lenders throughout the United States who have local real estate expertise and borrower relationships. The model allows for more borrowers to access capital and improve their local communities, one house at a time. 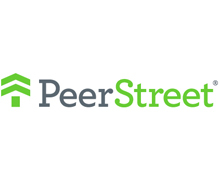 PeerStreet’s platform is secure and intuitive with an easy-to-use interface, offering a wealth of information and tools for every level of investor. 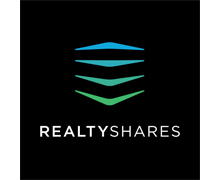 RealtyShares is the leading online marketplace for real estate investing where real estate investors and vetted real estate companies can transact with one another digitally. Our mission is to be the easiest and most trusted way to access and invest in real estate and to raise capital for quality projects. Rent Manager® is proven software for companies that handle real estate portfolios of every type and size. 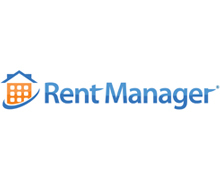 With complete accounting resources, intuitive marketing and mobile tools, unparalleled reporting, and comprehensive work-order and property management capabilities, Rent Manager is the one software you need to continue building your exceptional business. 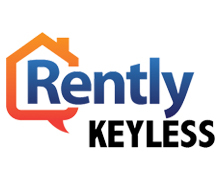 Rently Keyless is an innovative smart home system for home builders, property managers, and homeowners. Rently bundles state of the art keyless entry hardware with our cloud-based software to provide a total smart home solution. Enhance property security, reduce utility costs, and provide easy guest access with Rently Keyless. We’re driven by innovation. Guided by our insights into customer needs, we deliver industry-leading, next-generation electronic locking solutions without wires and without mechanical keys. 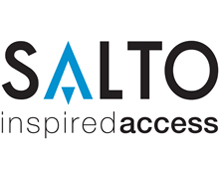 Since 2001, SALTO has been redefining the access control world by continually being first to anticipate market needs in a rapidly evolving marketplace. We set new standards in security, manageability and scalability. SALTO’s pioneering XS4 SVN platform provides stand-alone networked locking solutions. 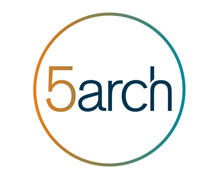 With its online and real-time technology, our market-leading XS4 platform enhances the usability of every building environment by securing virtually every door and enabling the monitoring and control of every user. SALTO hardware and software can be networked without wires to provide real-time intelligence and instant control, whilst enabling integration with existing systems to improve manageability and enhance end-user experience. Having revolutionized access control around the world in sectors where security is critical – from airports and healthcare to government education and hotels – we continue to deliver the most advanced and flexible electronic locking solutions in the market. 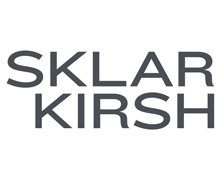 Sklar Kirsh LLP is a corporate, real estate, entertainment, and litigation law firm founded by attorneys from nationally and internationally recognized firms who provide top tier legal services in an entrepreneurial, sophisticated, and focused manner. Our team has the experience to handle complex corporate, real estate, and entertainment transactions, and sophisticated commercial litigation while maintaining our focus on you, your business, and your bottom line. 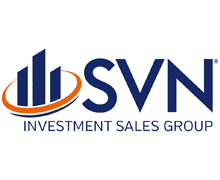 The Vision of SVN | Investment Sales Group is to provide maximum exposure for our clients’ assets through collaboration and cooperation with our local, national and international database of investors and Brokers. Our philosophy "Maximum Competition Equals Maximum Value"​ separates us from all other national companies. We have a written policy of cooperation on every listing, something other brokerage firms will not provide. Even today, SVN remains the only firm that places the client's interests first, with our policy of marketing to the entire brokerage community. Since 1939, Symmons Industries has been a premier manufacturer of commercial and residential plumbing products. Symmons offers a variety of durable, reliable and beautifully designed plumbing fittings for residential and commercial applications. Symmons’ pressure-balancing, anti-scald shower valve, in combination with its expansive premium products for kitchen and bath makes Symmons truly the smart choice in plumbing. As an industry leader, Symmons continues to innovate within the custom fittings category, creating distinctive design solutions for premium hospitality and condominium projects. 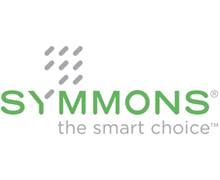 Headquartered in Braintree, MA, Symmons is a privately held company with regional sales offices and local representatives located throughout the United States and Canada. 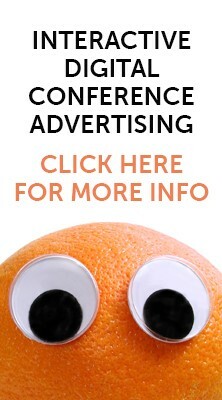 For more information, please visit www.symmons.com, email info@symmons.com, or call 1-800-SYMMONS. 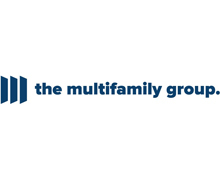 The Multifamily Group is a commercial real estate brokerage firm focused exclusively on clients and helping them market, sell and acquire multi-housing assets. 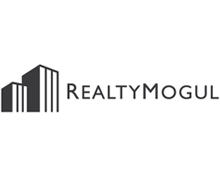 Based in Dallas, Texas, The Multifamily Group has a national network of investment sales professionals who leverage capital market knowledge with market and submarket expertise. 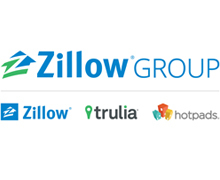 Investors look to The Multifamily Group for one thing, results. From asset valuation and coordination of the marketing process, to contract negotiations, owner representation and more, we help clients open doors and close deals. Flooring Redefined. Leading flooring into the modern era by sparking creativity in everyday living. 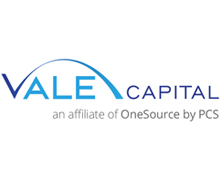 Vale Capital is an Affiliate of OneSource by PCS (“OSPCS”), a California-based portfolio lender, mezzanine debt provider and equity investor. OSPCS and its principals, partners, affiliates and investors have funded in excess of $1 billion of private real estate loans since 2009. Transaction types include purchase, rehab, cash out, fix & flip, buy and hold, estate settlement, new construction, mini perm/term financing for multifamily and commercial properties, and build to suit financing. 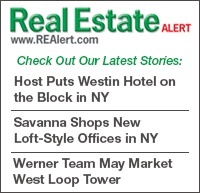 Targeted property types include non-owner occupied residential, multifamily, retail, mixed use, office, R&D, industrial, special use and entitled land. Loan sizes range from $300K to $15M; terms from 3 to 36 months. Loan leverage to 70% LTV/LTC (75% case by case); Mezz to 80%. Equity to 90%. AAGLA - The voice of multi family housing since 1917. 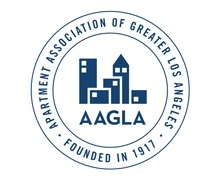 AAGLA’s mission is to serve the interests of multifamily owners, managers, developers and suppliers with services and activities to maintain a high level of professionalism in the multifamily housing industry. AAGLA directly advocates for the rental housing industry locally in the city, county, state and federal government to better serve the rental housing needs of the public in a just and fair manner. 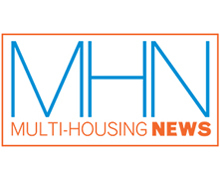 For 49 years, Multi-Housing News has provided in-depth news and analysis of the events and players shaping the multi-housing industry. Comprehensive coverage provides our readers with the insight they need in their day-to-day and future business. 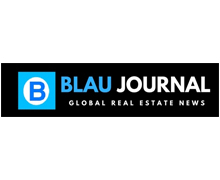 Our readers are the top level executives in the multi-housing industry: CEOs, COOs, CFOs, presidents, chairmen, vice chairmen, principals, partners, owners, senior vice presidents, executive vice presidents, directors, general managers and builders of multi-housing-related companies. At Think Realty, we believe in the positive, life-changing impact of real estate investing. Our mission is to help investors achieve their goals of building wealth, better managing time and living a life full of purpose. That’s why we’re dedicated to being the central source for connecting investors - like you - with all the resources you need to succeed! By offering choices for membership levels, you can determine what option is right for you and your investment strategy. 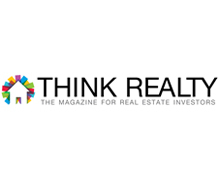 From access to insights, articles and industry tips and trends to comprehensive educational tools, including video courses from Think Realty Coaches and access to events nationwide, Think Realty is your go-to partner for success.